“We’re alright, we’re alright” sweeping over a slow moving beat and creeping along with wailing guitars screams as the farthest thing from being actually alright. 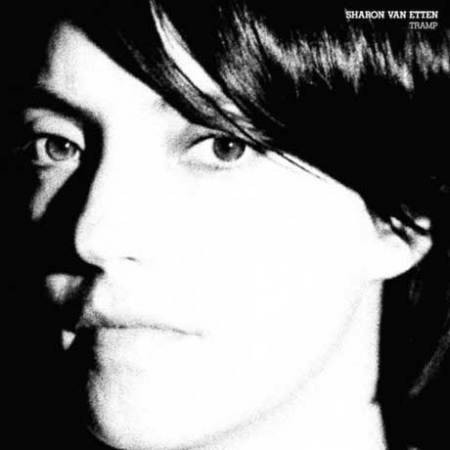 Accompanied by Zach Condon of Beirut, “We Are Fine,” the eighth track on Tramp comes across as a bold statement of purpose for this album and Sharon Van Etten’s style itself—pushing through while exploring the emotional turmoil that perhaps plagues this songstress and perhaps plagues us all at some point or another. Tramp is yet another staple of this exploration for Van Etten, whose raspy voice is power, often made grim by the words that are carried by it, and haunting in itself. The album begins at “Warsaw,” which is by far the most jangly/garage rock number on this release. Squalling guitar brings you in at its crawling pace, and then Van Etten’s voice makes its first appearance. Juxtaposed against the raw instruments, the vocals appear at their sweetest here and it isn’t until the next song that you can really grasp the true force behind them. Second up is “Give Out,” on which the focus is transferred to the voice that sails above the guitar and minimalist percussion, and is yet tethered to the music by its deep resonant force. When Van Etten belts “you’re the reason why I’ll move to the city,” she reaches a sinisterly arching, skin crawling tone that oozes strength amidst destruction. After this powerful track, “Serpents,” the lead single from Tramp gets its bitter say in its own chilling notes. More prominent percussion and borderline angry vocals command this song, driving it into corners and then letting it all go. Here is where essentially my only qualm with this record can be found: song placement. The first three songs are all brilliant and supremely gripping in their strength and boldness, and then the fourth song immediately drops from outward reflection to inward contemplation. All of the caustic and edginess is lost and Van Etten turns to a softer, more acoustic sound, which carries through the middle portion of the album and may have some differing reactions by listeners. Some may find this breakdown alluring in its real nature, and others may find it weak. She does not end on a meek note, however, and brings back the power on songs aforementioned like “We Are Fine,” that stretch the vocals to boil and “Magic Chords,” which strikes the same fancy as the first few tracks on Tramp. It is a devastatingly beautiful number, and the same can be said for the whole album. You are transfigured by the sorrow found in Van Etten’s voice, and held down by its overwhelming strength. Excellent review, Nicole. Your callout about song placement, in particular. That’s my one and only reservation about this otherwise gorgeous, otherworldly good album.